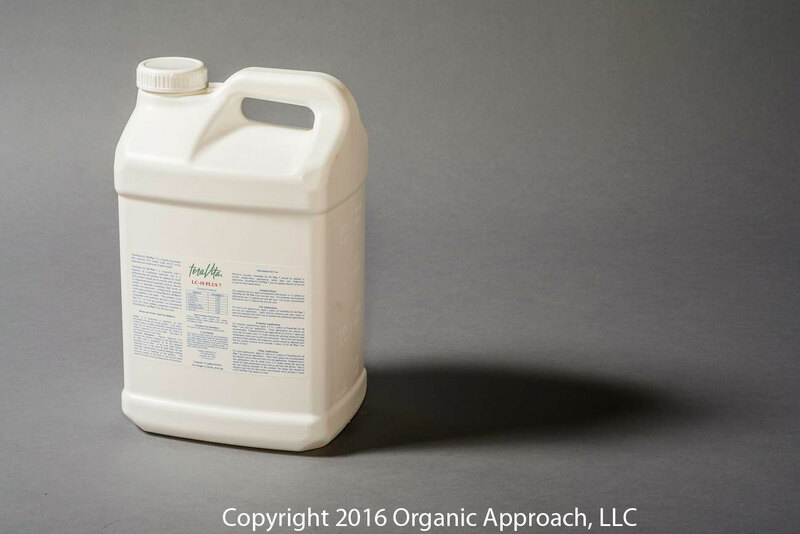 TeraVita LC-10 Plus 7 is a liquid concentrate that contains 10% humic acid PLUS seven important micronutrients of plant health. Humic acid is not a plant food, but may increase the availability of micronutrients to plants. 2.5 gal bottle (2X2.5 CASE) Custom formulations of this product with only specific micronutrients added are available in case quantities and larger. This is typically for certified organic growers who do not have a documented deficiency in all 7 micronutrients. Price is for a full 5-gal case (2 X 2.5 gal). Order Quantity reflects the number of full cases being ordered. TeraVita LC-10 Plus 7 is compatible with a majority of companion materials, but it is preferred that this product be applied by itself. This product should not be mixed with calcium or magnesium based materials (such as calcium nitrate) or materials containing high levels of soluble micronutrients. Adding these materials could make portions of TeraVita LC-10 Plus 7 less available to the plant. This product is not compatible with materials that have a pH lower than 4.0. As with any product, we recommend a jar test when adding companion material to TeraVita LC-10 Plus 7 for the first time. PLEASE NOTE: If you are a certified organic grower and do not have documented deficiencies in all 7 micronutrients, we can CUSTOM manufacture this product and add only the micronutrients that you need or want. The minimum order is 5-gallons. If you would like a custom version of this product, add LC-10+7 to the cart in the quantities you need and indicate in the order notes section which micronutrients you would like incorportated. Please allow 10 days to 2 weeks for custom manufacturing of your product.